There are many examples of email opt-ins available on the web. We have previously listed a few websites with great sign up areas for visitors. Today we go back to this topic and find some more excellent email opt-ins for you to take a look at. Very clear and simple, this email opt-in appears on the first page of the website. It informs the reader exactly what they will receive if they sign up to the email newsletter (car news, reviews and advice). The website also draws attention to the button to process the visitor’s details which is in red and very eye catching. The sign up also gives some peer pressure by showing how many people have liked their Facebook page and how many follow them on Twitter. When seeing this, others will want to join in where thousands of have before. Although probably not the best positioned sign up, being at the bottom of a very long page, the bright colours against a white background do allow the sign up form to standout. In a similar vein the use of red in the heading draws the reader’s eye to this section of the website. The details requested on the sign-up form are also not too obtrusive. Though what is really impressive is the offer they give you when you sign up. New sign ups get three free bids. Although this is probably something which they give all new users, it makes the visitor feel special. Moving into the job market is our next website. Seek offers those who are registered or not, to have a regular email sent to their inbox about the latest jobs tailored to their requirements. There are several things which are good about this email opt-in. The first is that the content of the email is fully customisable, allowing the visitor to select only the information they are looking for. Then the user can select the amount of jobs they receive by selecting the type of email they have (i.e. with or without graphics). The opt-in also allows the visitors to say whether they wish to be included for job searching advice and tips in their emails. This article site has many features with additional options for those who opt-in. This is made easy by the limited information required for the user to sign up with and therefore there is less chance of abandonment on the form. There is also the option for the visitor to sign up using any one of their social media profiles – providing visitors easy access. 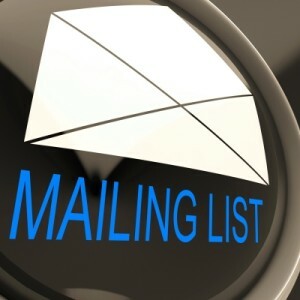 Signing up to their email list allows special access to users and allows them to comment on articles which have been posted by their many contributors. This gives members a sense of community. Business Insider offers those who wish to opt-in to their emails the choice of up to five different emails to receive. Individuals can select each one they wish to get and then enter in the minimal amount of information. Once the visitor has signed up for the newsletter(s) they can then leave comments on any article. What is more interesting about this site is that they aren’t sending out the newsletters yet. They acknowledge this and explain they are generating a list to email before they commit to the publishing of a newsletter. However, they do announce exactly what the newsletters will contain. So this a great example for building up your mailing list organically before jumping in with the mailing. This is a good idea if you are just starting out with email marketing and want to ensure you have significant numbers to make the process worthwhile. There are loads of businesses out there with excellent email opt-in. By optimising your email sign up page you can generate more names on your mailing list and greater revenue for every email you write. Have a look at the above examples and see if you can incorporate any of their great ideas within your email marketing strategy.